Commonwealth Bank honours its World War 1 dead - or does it? Back in those distant 60s when I worked in the Commonwealth Bank's old head office building in Sydney, I entered my office each day through the Pitt St entrance. 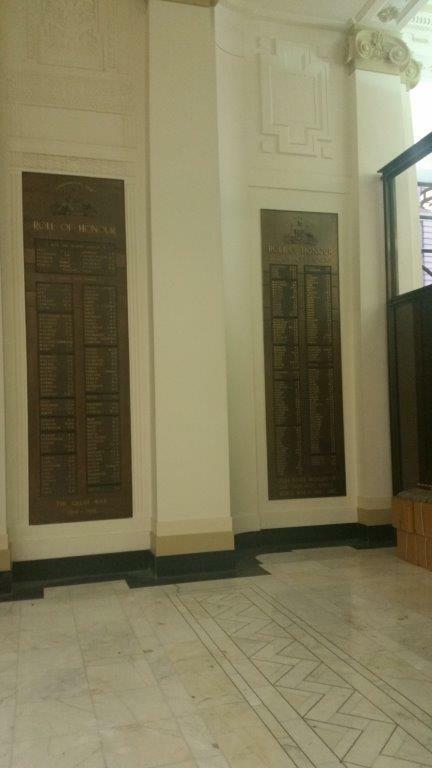 The WW1 Honour Rolls graced the lift foyer. Aged 20, it never occurred to me that any of the names listed there were relevant to my family. 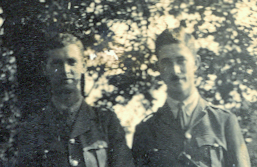 Recently, when writing my book 'Brothers in Arms' I realised my error. Margaret Flockton's nephew Stephen Boulton worked for this bank before enlisting in January 1915. He survived Gallipoli, Pozieres & more but not the final, final push. 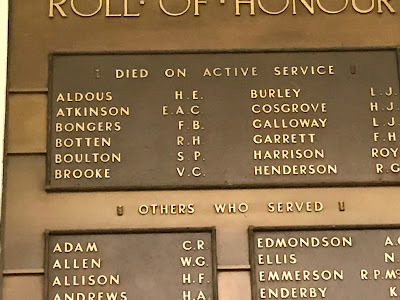 His amazing letters have been honoured by the Australian War Memorial's digitisation project and his name should be on the CBA's Honour Rolls ... so I went looking for them. 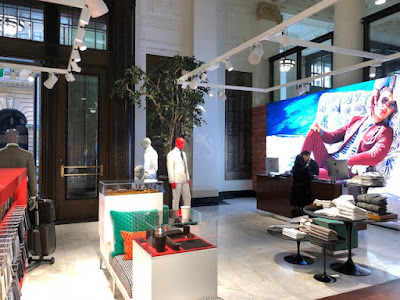 Aghast, I discovered that the building has been sold, that the magnificent old banking chamber is now a shopping place and the Rolls are 'missing in action'. An email to the Commonwealth Bank Archives Dept and several emails to Dexus Property Group revealed the Honour Rolls had been relocated to another spot within the building ... somewhere! The photograph on the left was sent to me, as proof. BUT - although they are on the Official Register of War Memorials in NSW these Honour Rolls are clearly no longer easily accessible to the public. I've visited the building three times on various visits to Sydney (from Melbourne) and haven't been able to find them, nor can anyone at reception tell me where they are. By Remembrance Day in 2017, will these Rolls onc again be honoured in some way? We are pleased to confirm that these Honour Rolls are in place and have not been relocated as part of the Development of 5 Martin Place finished in 2015. 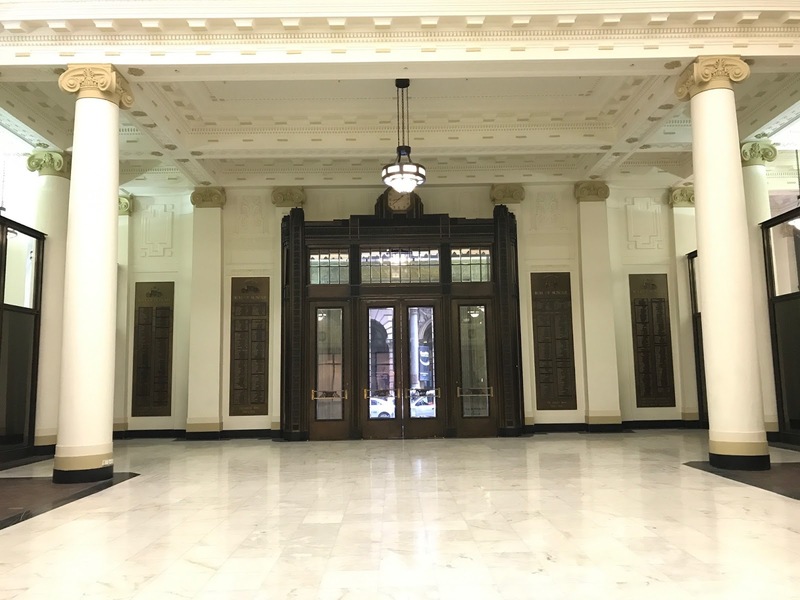 They are located at each side of the main entrance doors off Pitt Street (on the inside) and are in their original condition. The tenancy is locked at the moment as our new tenant is starting their fitout. The Honour Rolls have been and will be preserved into the future. SP Boulton is on the Honour Roll. The area will be opened to the public once our retail tenant opens in early September. Stephen Philip Boulton was my great-uncle. Thank you, Catherine, for clarifying the matter, providing the photos and kindly offering to give me a tour of the old Commonwealth Bank building next time I'm in Sydney. 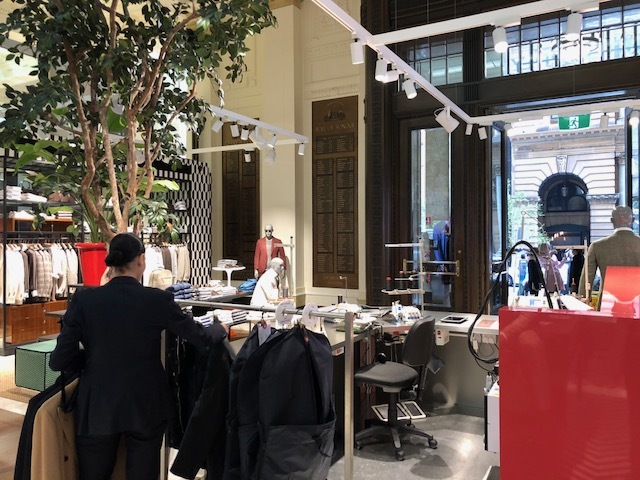 I didn't think I needed to bother Catherine when I happened to be in Pitt Street, Sydney during office hours in June 2018. I called in to have a look at the final setting for the Honour Rolls. I was not impressed. Where is the respect? Who will remember in 50 years that these Honour Rolls for former staff are here because this building once housed the head office of the Commonwealth Bank? These rolls would be better off in their original position, in the outside foyer of this building, where they can be viewed out of hours, including on Anzac Day. What do you think? So my question at the start of this post has been answered. Yes, the Commonwealth Bank's staff who served in the Great War (and the Second World War too) will continue to be honoured - in a way. But Remembrance Day does seem to have lost its meaning.